Any image you see on the web that does not specifically allow sharing is presumed to be all rights reserved. The image above is a licensed stock photo. On this website, look for the copyright license in the image caption. Images on State Symbols USA are either original, public domain, published with the permission of the copyright owner, or published under terms of a specific creative commons license (read more). 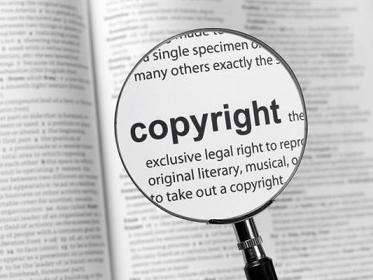 We also have a few images that are published under the principle of fair use (educational, nonprofit), and a sprinkling of licensed stock photos such as the one above. State Symbols USA respects the artistic and intellectual property of others, and we expect the same behavior from our visitors. To license a copyrighted ( © ) photo or artwork for any use (private, commercial, educational, or nonprofit), contact the owner through the link provided in the image caption. Public Domain: Images in the public domain are free to use without restriction; click the link in the caption to access the original image (you may find a larger or higher resolution version and more detailed information). Some Rights Reserved: Most images on this website are published under a Creative Commons or GNU Free Documentation License, which means some rights are reserved (read more). Refer to image captions for license information. The link in the caption accesses the original image; often a larger or higher resolution version is available, and more detailed information. All Rights Reserved: images with a copyright symbol, unless specified otherwise, are all rights reserved. To use them in any way you must contact the owner through the link provided. Except where short quotes are indicated by quotation marks, text content on State Symbols USA is an original compilation of facts. When we occasionally use more than a referenced quotation, we acquire permission and cite the source. Use of our original text content is permitted with attribution /share alike; please credit STATE SYMBOLS USA and link to our home page (if a link cannot be provided, please print our URL: StateSymbolsUSA.org).